After a while your hard disk can become cluttered up with unwanted ‘junk’ files and this can affect the performance of your PC or notebook. 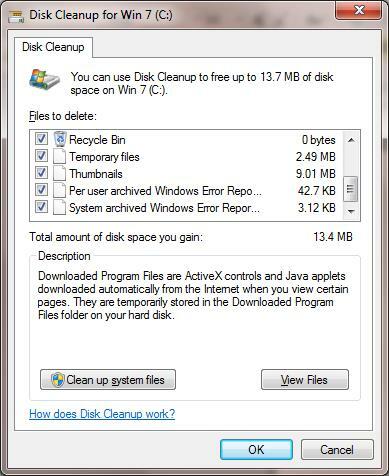 One of the best ways to clean up the hard drive is to run the Windows “Disk Cleanup”. Click on the “Start” button and select “Computer” (“My Computer” in Windows XP). Click on the hard drive you want to clean up (you might only have the one hard drive C:) and select Properties. 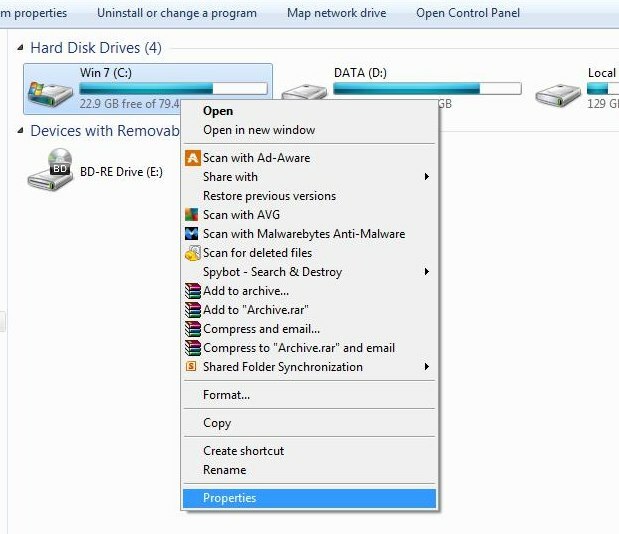 In the general tab click on “Disk Cleanup” .Windows will then scan the hard drive to see what files can safely be deleted. In the confirmation window that appears click “Yes” (Windows XP) or “Delete files” ( Windows Vista, 7, 8, 8.1). The Disk Cleanup utility will now start removing the selected files - this may take some time depending how cluttered the hard drive is. Tip: If you regularly defragment your hard drive to improve the system performance, or if you use the defragmenter on a schedule, try running the disk cleanup before defragmenting. This will reduce the amount of time that the defragmenter needs to complete the job and give you the fastest system. "There is not enough disk space to create the volume shadow copy on storage location. Make sure that for all volume to be backup up, the minimum disk space required for shadow copy creation is available. this applies to both the backup storage destination and volume included in the backup. Minimum requirement for Volumes less than 500 megabytes, the minimum is 50 megabyte of free space. for volumes more than 500 megabytes, the minimum is 320 megabytes of free space. Recommended at least 1 gigabytes free of disk space on each volumes if volumes size is more than 1 gigabytes (0x80780119)"
As the error message indicates, the problem is with regards to disk space. However, unexpectedly, the cause can be a lack of disk space in the system reserved partition, as disk space has been consumed by the USN journal. Use Disk Management to find out which volume has run out or about to run out of disk space. You can look at the Properties of the System Reserved Partition to check the free disk space. 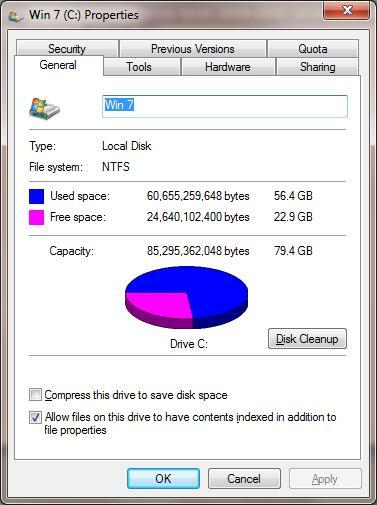 The example below has sufficient space for the System Image backup as it has more than 50MB available free space. Once you have identified which partitions are low on space, you should clear out sufficient space as per the warning message to allow System image backups to continue. If the System Reserved partition is low on space, you may be able to free space by clearing the USN journal using the steps below. This method requires a drive letter, meaning that a drive letter will need to be assigned to the System Reserved partition. You can remove this drive letter afterwards.